Help us reach maximum donation potential! The Village of Barrington continues to cultivate and support its wonderful community, and the growth of the village has never been more apparent than now. With new businesses and entertainment options flourishing, Barrington truly has become a great place to live, work and play. Building on such rich traditions as the Independence Day Celebration, Brew Fest, Cruise Nights, Farmer's Markets, the Art Festival, Homecoming Day, Relay for Life and the Scarecrow Fest, the Village is thrilled to welcome back one of the largest annual events, and being that it's in March it's the perfect start to another year of big fun in Barrington. GREAT NEWS - our festival tent returns in 2016! The 6th Annual Barrington Celtic Fest will take place on Thursday March 17th through Saturday March 19th on the 200 block Park Avenue, just East of South Cook Street and including McGonigal’s Pub & The Annex. The three day event begins on St. Patrick's Day with a 10 AM Pub opening and runs through Saturday. A huge heated festival tent will be erected over the majority of Park Avenue so patrons can enjoy the celebration outdoors without worries about the fickle March weather! The agenda for the weekend includes live music, a mix of local retail restaurants and merchants, various entertainment including Irish dancers, bagpipers, special guest appearances, and of course plentiful availability of food and beverages both in the outdoor festival area and the pub. Details on music, participants and food/drink vendors are listed below. Admission to the festival is FREE all weekend throughout McGonigal’s Pub, The Annex and the Festival tent! Since we do support the American Cancer Society with these festivals, we request patrons to stop by their booth in the Festival Tent and donate whatever you can (any amount is acceptable and appreciated). Volunteers from the Relay for Life will be on site throughout the event, so anyone who would like to contribute can do so at anytime. The owner of McGonigal's Pub, Bryan McGonigal, lost his mother to cancer several years ago, so this cause is is near and dear to his heart. 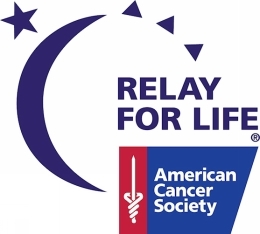 The Pub has set a goal of raising $5000 for the Relay for Life event. The Pub will be offering an "expanded limited" menu INSIDE throughout the festival weekend, see the information under Food & Drink vendors for details (normal restaurant services will resume on Sunday March 20th). In the tent the Pub will be offering additional items not included inside. There will be many other food options through Clarke's Bakery & Deli & Big Iron Horse BBQ (Cooper's of Barrington)... both of which are fellow Barrington businesses. During the entire fest the Pub offers full bar service in both levels, as will The Annex, and in the tent there will be TWO beer trucks serving Guinness, Harp, Smithwicks, Guinness Blonde Ale and of course Miller Lite green beer. There will also be special 2Nite Vodka drinks along with Jameson and other liquor options available in the tent. Pepsi, Diet Pepsi and water will be available through the Pub food station. Note - in the festival tent, all beverages and food will be CASH ONLY. Credit cards (and full bar services) can be used in the Pub & Annex. To best accommodate all our patrons during the Barrington Celtic Fest, the Pub, Annex and Festival Tent will be 21+ in age after 8 PM on all three festival days. Also, please understand that this is the busiest weekend of the year for us and other Irish pubs, so as a heads up there will be NO special seating, private event bookings or reservations of any type taken for the duration of the Celtic Fest. Seating specifically for dining will be available in our Pub 2nd level and in The Annex on a first come, first served basis. There will also be tables in the Festival Tent again on a first come, first served basis. In order to efficiently service the large crowds, most of our drink and dining services will be changed over to paper & plastic during these three days, with normal full restaurant service returning on Sunday March 20th. Additionally, NO COUPONS, daily food & drink specials or other promotional discounts will be honored March 17th - 19th. We apologize for any inconveniences. The Barrington Celtic Fest is focusing on food, drink and fun, with local and Irish merchants on hand. Families are welcome and encouraged to attend, especially during the daytime hours. However, please use your best discretion with younger children at all other times... it's still St. Patrick's Day weekend at an Irish Pub, which inevitably becomes more of an adult holiday as the evening hours arrive. Hope to see you here this weekend! Clarke's Bakery has been a part of the Barrington Community since 1986. We pride ourselves in fresh, family recipes. Cooper’s creates Barrington’s finest pizzas, sandwiches, salads, pasta and wraps as well as ribs, wings and more. We craft our own sauces, custom breads, and pizza dough for that fantastic, one-of-a-kind taste that you’ll crave! Cooper's has been serving the Barrington area for nearly five years. Big Iron Horse Barbecue was created to bring flavors and cooking techniques of Texas, the great Southwest, and the Caribbean together for a unique blend of fusion barbecue. More information will be available on the websites for the Village of Barrington and the official Facebook Page. We sincerely thank our sponsors and the surrounding communities that will help make the Barrington Celtic Fest another huge success in 2016!